first of all happy 2012. 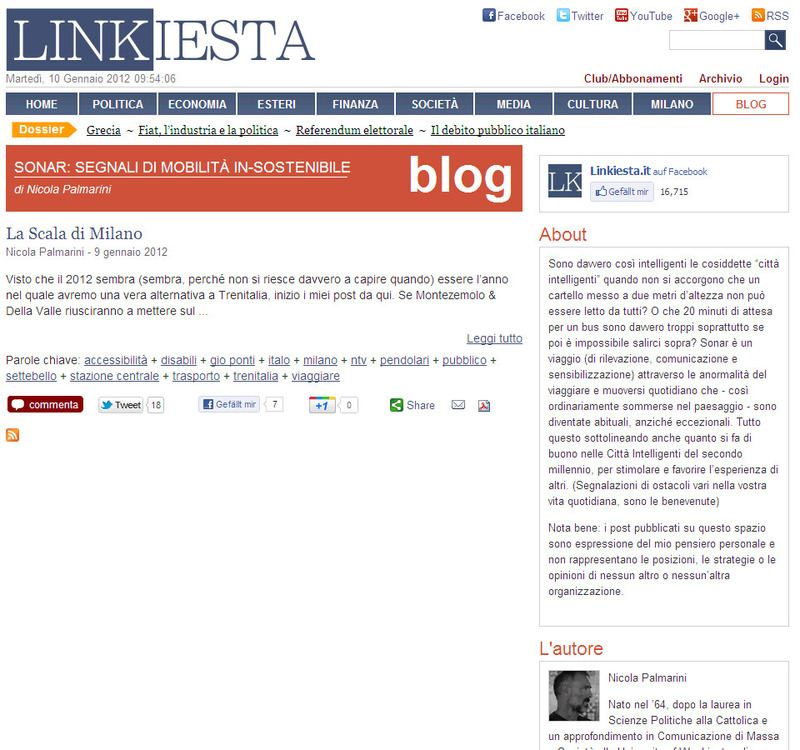 I had the chance (thanks to Jacopo Tondelli) to start a collaboration with LINKIESTA.it, one of the (my opinion 🙂 best magazine online. My collaboration begins today, my blog-column is named Sonar and I’ll write about what I define the “un-sustainable” mobility, i.e. how travelling and moving around can be damned tough through these “smart cities”. These posts will be only in italian, I am sorry, but if you feel there is something you would like to know more, just write me and I’ll do my best to translate it in english. Enjoy anyway and thanks for following.